Place of Birth: New Haven, Connecticut, U.S.
Paul Giamatti is an American actor. He starred in the films Sideways and Cinderella Man. Paul is the son of Toni Marilyn (Smith), an actress and teacher, A. Bartlett Giamatti (Angelo Bartlett Giamatti), a professor of English literature who served as president of Yale University and Commissioner of Major League Baseball. 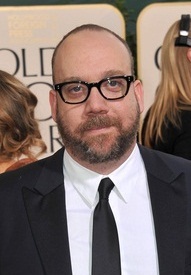 Actor Marcus Giamatti is his brother. Paul is married to Elizabeth Cohen, with whom he has a son. Paul’s paternal grandfather was of Italian descent. The remainder of Paul’s ancestry is German, English, Dutch, Irish, distant Scottish, and remote French. Paul’s paternal grandfather was Valentine John Giamatti (the son of Angelo Raffaelle Giammattei and Maria Grace Luigia Lavorgna). Paul’s grandfather Valentine was born in Connecticut, to Italian parents. Angelo was from Telese Terme, Province of Benevento, Campania, Italy, the son of Pasquale Giamattei and Philomena Procini. Maria was from San Lorenzello, also in Province of Benevento, Campania, Italy, the daughter of Luigi Lavorgna and Maria Giovanna Sagnella. The surname Giamatti was originally spelled Giammattei. Paul’s paternal grandmother was Mary Claybaugh Walton (the daughter of Bartlett Walton and Helen Buffum Davidson). Paul’s grandmother Mary Claybaugh was born in Massachusetts, and was of mainly English descent, with remote Scottish roots. Bartlett was the son of Arthur Gould Walton and Mary Ellen Bartlett. Helen was the daughter of James Thomas Davidson and Sarah Elizabeth Burleigh. Paul’s maternal grandfather was Abram Edward Smith (the son of David T. Smith and Mary Elizabeth Stansfield). Abram was born in New Jersey. David was the son of Abram Thomas Smith and Sarah Jane Voorhees, and was of heavily Dutch descent, along with English, and very remote French, roots. Mary Elizabeth was the daughter of James A. Stansfield, an English immigrant, and of Elizabeth Byers, who was likely of English descent. Paul’s maternal grandmother was Kathryn/Katherine Eleanor Brown (the daughter of Commodore Alfred Y. Brown and Nettie Klinck). Kathryn was born in New York. Commodore Alfred was the son of Frank Brown, who was born in Canada, and of Marsala, who was born in Ireland. Paul’s matrilineal great-grandmother Nettie was born in New York, to David George Klinck and Nettie Hummel, who were of German descent. Nettie Hummel’s parents, Paul’s great-great-great-grandparents, were Georg R. Hummel and Gertrude Geier. Has Italian shaped eyes with Northern European tone. What exactly are “Italian shaped eyes” and how do they differ from say Spanish or Greek shaped eyes? Does Paul morph into a non Northern European skin tone if he goes to the beach or stays out too long in the summer? What about all of the indigenous Northern Europeans with dark skin tones, are they frauds that need to be put on cattle cars and deported to some land where darker skin tones are the norm? Does Paul revert back to the coveted “Northern European tone” in the winter months? So many questions about this intriguing topic, and you’re the poster that can no doubt answer them all! Paul’s paternal grandfather was the son of immigrants from Telese Terme, Province of Benevento, Campania, Italy. “Giamatti” was originally spelled “Giammattei”. Maria Lavorgna was from San Lorenzello, also in Province of Benevento, Campania, Italy. Are you that dense? Everyone has thought of him as the real life Homer Simpson. He even knows this and has laughed about it. Sorry, Paul, it was some Joe La Truggio. The name of a movie is “Wanderlust”. He was great in sideways!